Our motto is to design, develop and deliver successful tailor made training programs through expert trainers. Help your employees unleash their maximum potential with our customized training programs. We witnessed a positive difference among the participants and they regained their confidence to frame sentences in English. Thanks to Ramsol & Team. The coordination and follow up was good and the staff was very courteous and efficient. 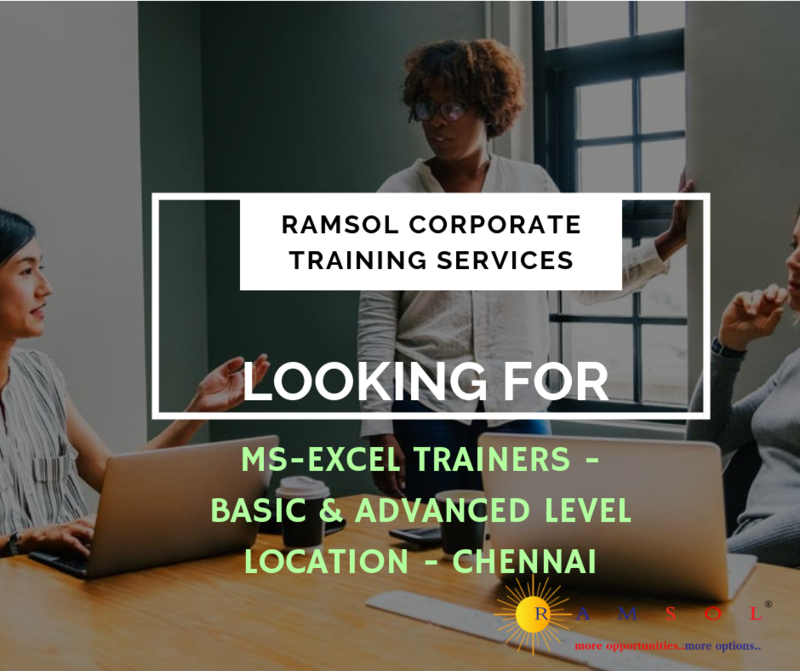 I had a good experience working with Ramsol, as a trainer. Training was good with role plays and games to understand the personality types.Within 7 hours the trainer had done a good job is completing both MBTI and DISC profiling. The information provided was sufficient and to the requirement. Overall the session was good. Thanks to RAMSOL for all the support and arrangement, without you we wouldn’t have achieved this good a session. Leading Manufacturer & Supplier of Automotive tooling fixtures, Coimbatore. 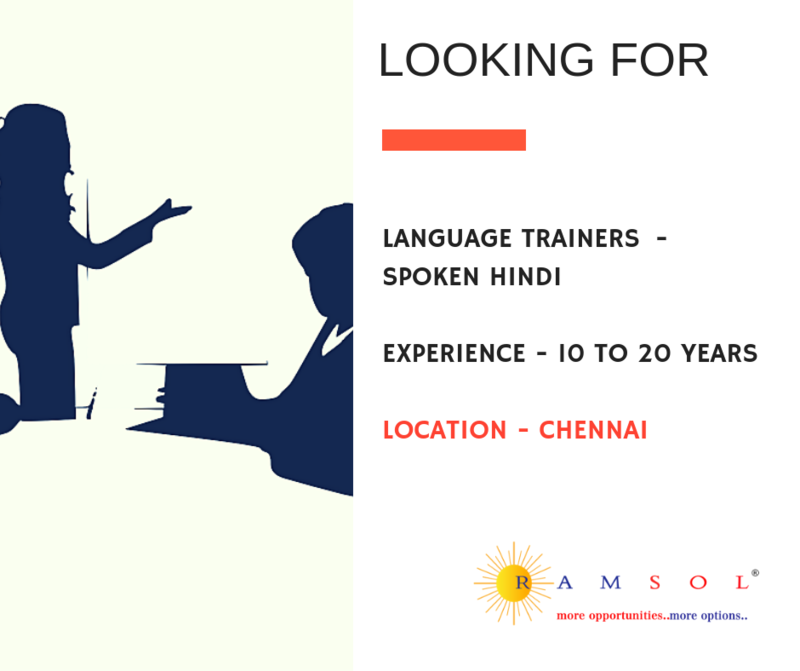 We were in need of trainers proficient in regional languages for an important outreach program. 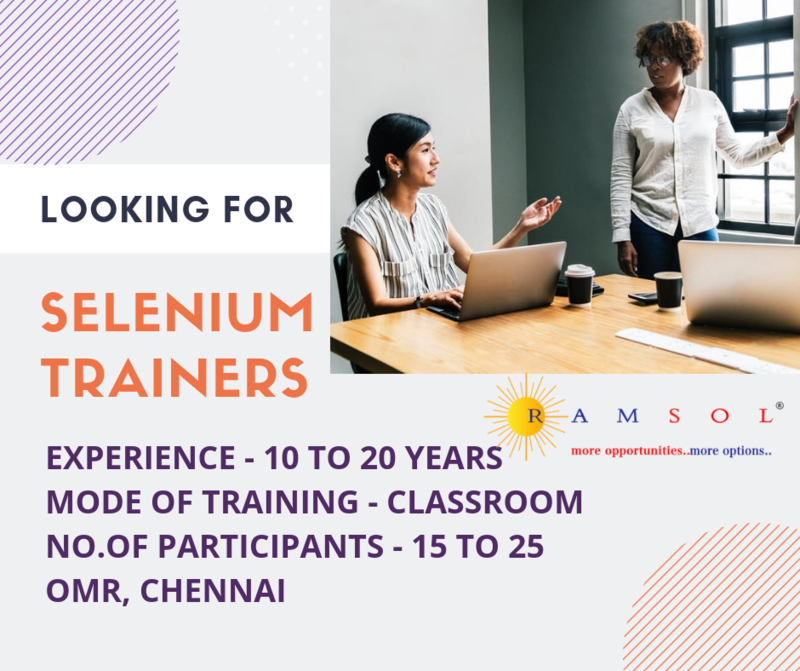 RAMSOL’s strong trainer network proved very useful for us. We also appreciate their responsiveness, positive attitude and commitment while engaging with us. Renowned Business Solutions Company, Bangalore. 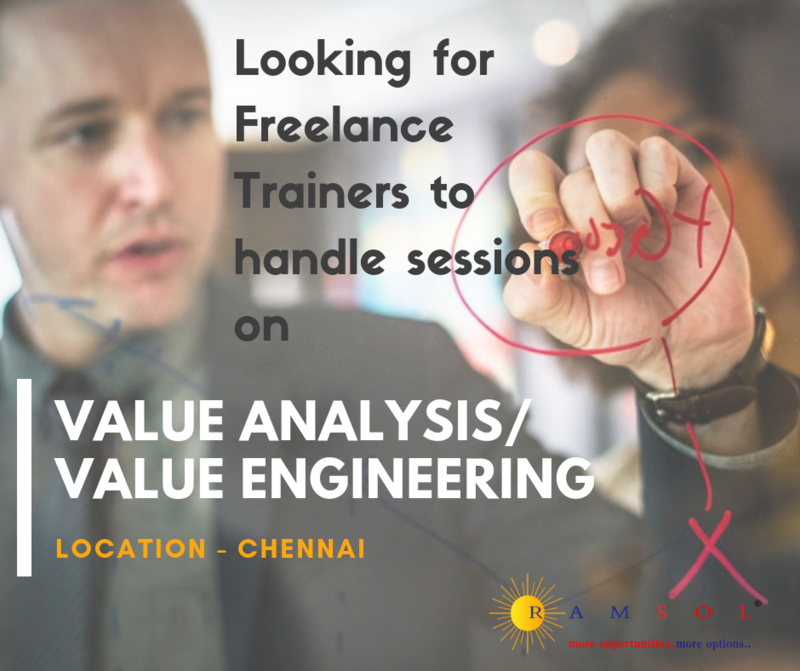 We experienced a very professional training environment and also the feedback received from the participants that it was very useful and interactive training session. We just found that the time was only constraint but still the trainer was very good at her aspect. 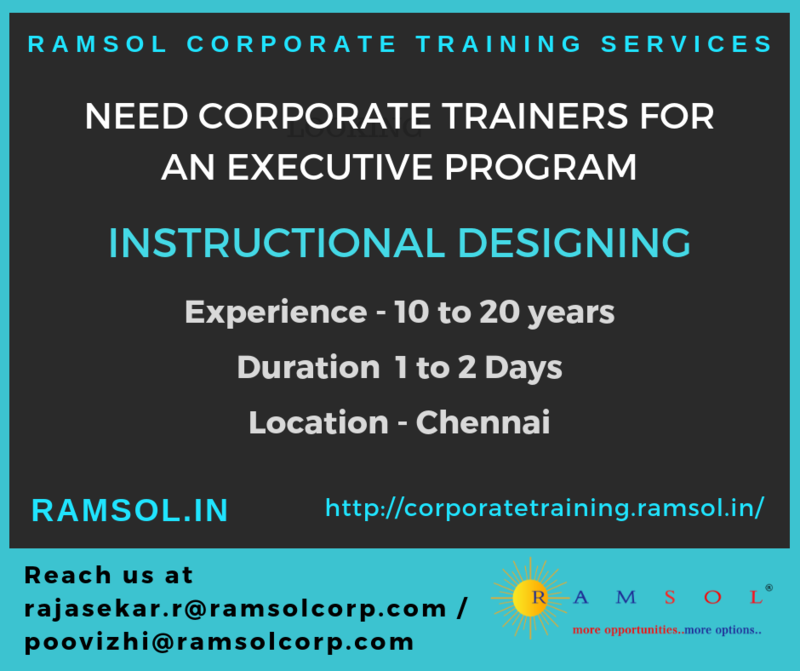 About Ramsol, we had received a very good and prompt support and also the arrangements and coordination were perfect. 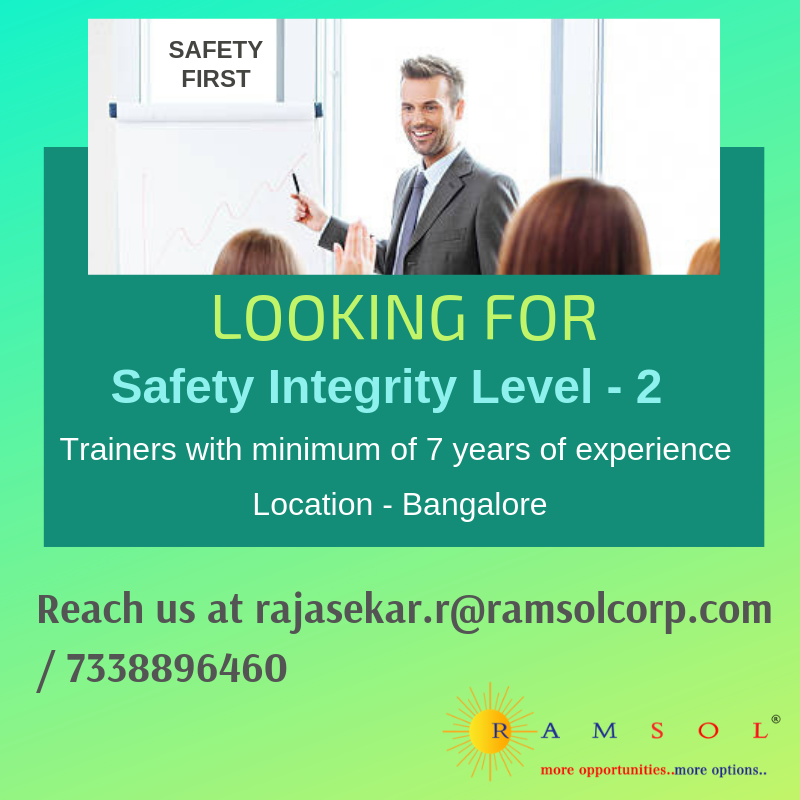 We will surely look after for an association or such kind of training program with Ramsol in future. Thanks for the support and service. Leading Elevator Manufacturing Company, Chennai. We are very glad and happy that the way you are approaching to us and timing follow ups are very prompt and highly appreciable. Over all the program was very nice and also trainer approach was good and handle the class pleasantly. If possible we can continue the same in future. Leading Elevator Manufacturing Company, Madurai. ©2019 Ramsol. All Rights Reserved.